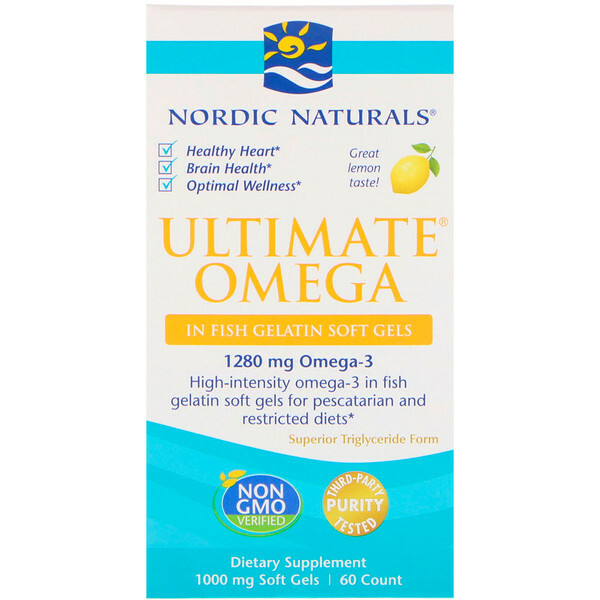 High-intensity omega-3 in fish gelatin soft gels for pescatarian and restricted diets. The #1 selling omega-3 in the U.S.*, in fish gelatin soft gels, ideal for pescatarian and restricted diets. 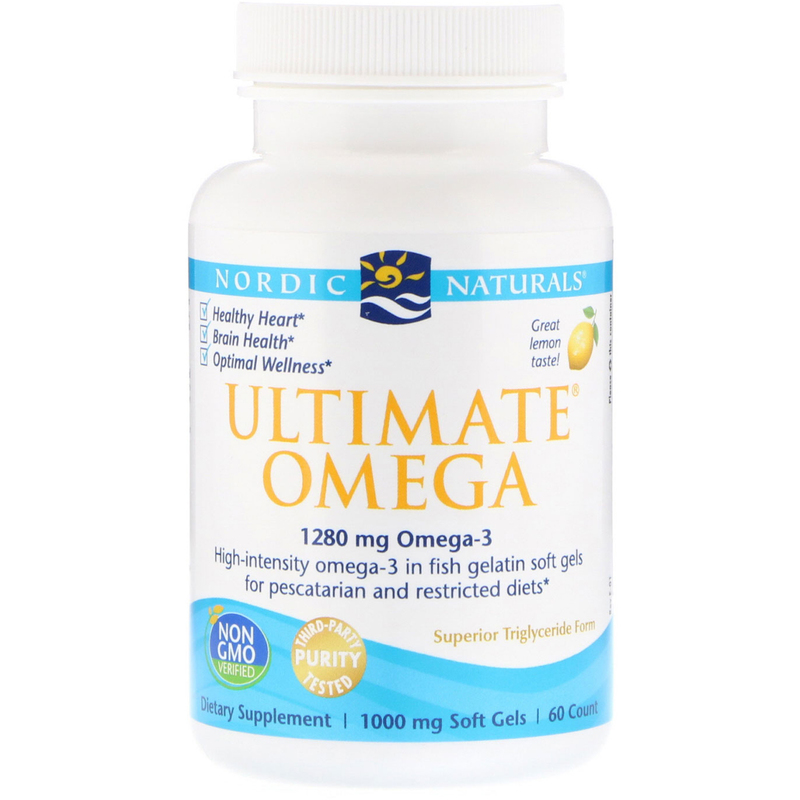 With concentrated levels of omega-3's, Ultimate Omega helps optimize immune function, supports heart and brain health, and promotes joint mobility. Made from start to finish by Nordic Naturals. Molecular Distillation - Removes impurities & environmental toxins (like heavy metals, such as mercury, PCBs, & dioxins). Oxygen-free Manufacturing - State-of-the art liquid bottling and encapsulation is done at Nordic Naturals Manufacturing in California. *Based on SPINS scan data. 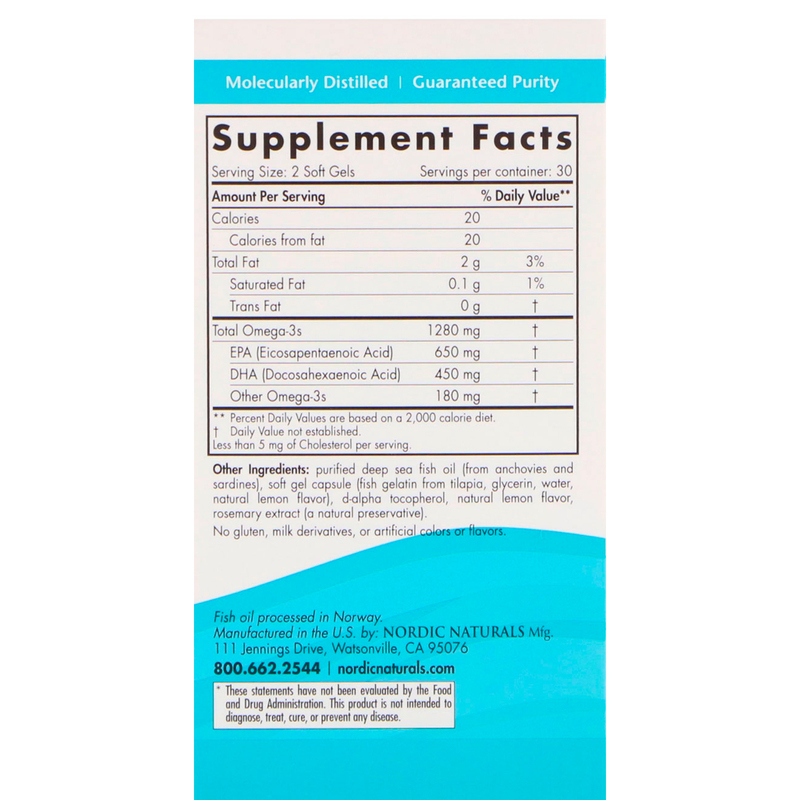 Purified deep sea fish oil (from anchovies and sardines), soft gel capsule (fish gelatin from tilapia, glycerin, water, natural lemon flavor), d-alpha tocopherol, natural lemon flavor, rosemary extract (a natural preservatives).